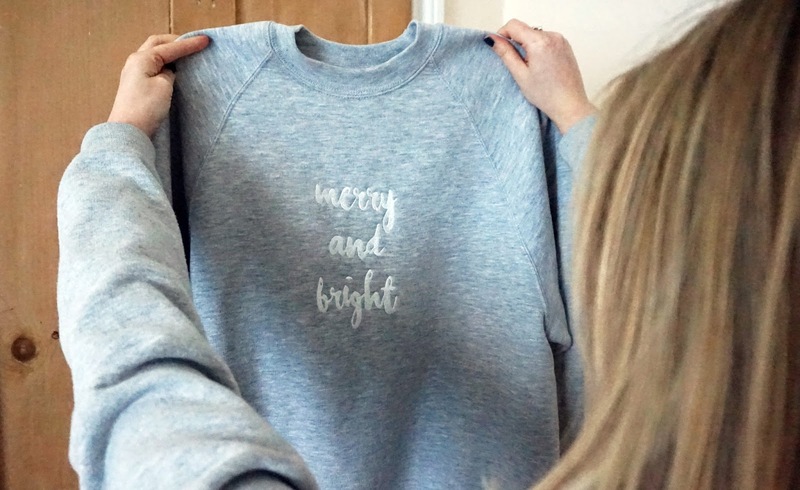 It’s no secret that I’m absolutely obsessed with Christmas and all things festive, so when I was asked to design my own Christmas jumper the answer was always going to be a yes! Now don’t get me wrong, I love a good cheesy festive knit, but I wanted to create something a little more wearable, and, well, dare I say…. ‘cool’! 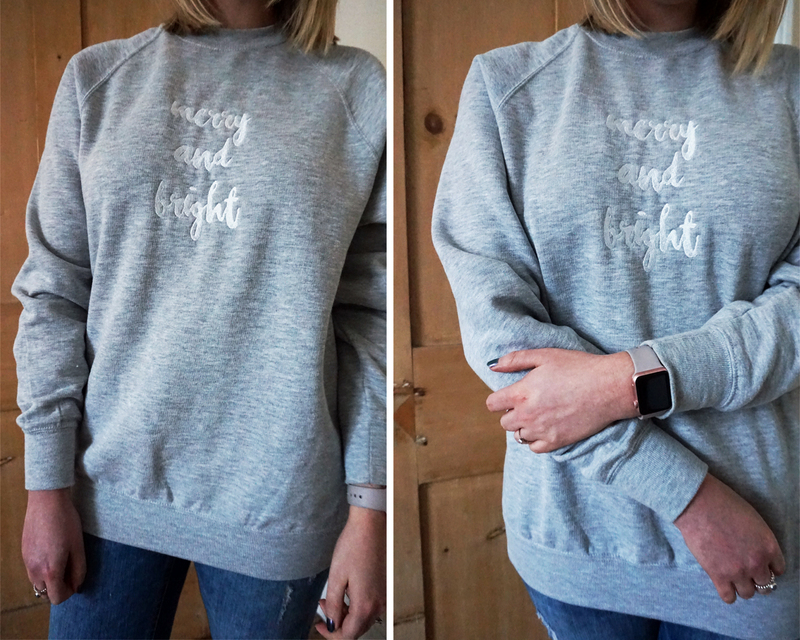 Rather than a knit, I opted for a simple grey marl sweatshirt in a pale shade, and slightly oversized for a relaxed fit. I then got to work on Photoshop creating the image that I wanted on the sweater. 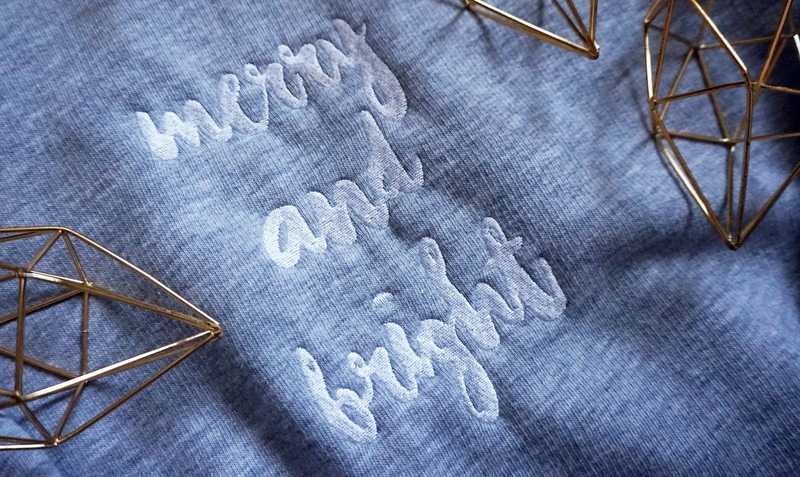 I chose a script-style font that would look fun yet soft, and opted for white embroidery rather than a print as I wanted it to have some form of texture to it. I was kinda going for a snowy sort of look with the marl of the fabric, the white text and the soft font, and I think the finished product worked out just how I imagined! 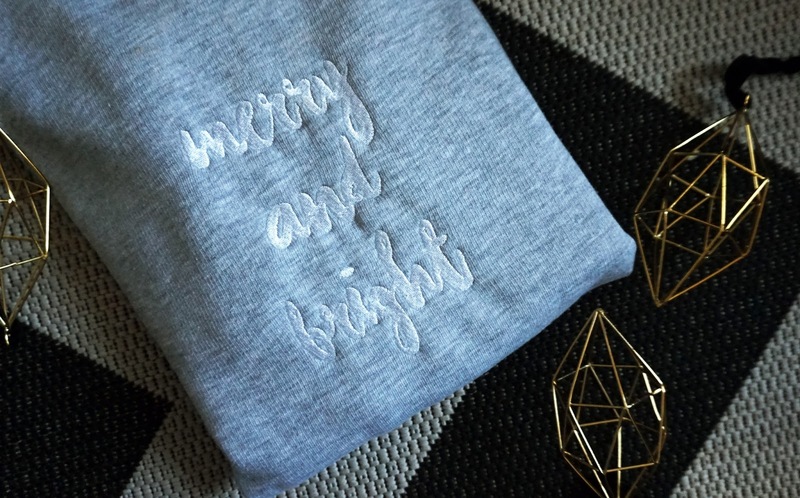 The production and delivery of my Christmas sweatshirt was super fast – I received it just a few days after ordering which I was super impressed with considering it was embroidered! Clothes2Order can also print on to their products as well as embroider, and they can do everything from T Shirts to accessories! I’m so pleased with how mine turned out, and I love how it isn’t so obviously Christmassy, so I can wear it lots this Winter! "#VERYDRESSES | THE VERY PARTYWEAR EVENT"
"LILY & THE LAMPLIGHT | PERFECT PARTYWEAR"